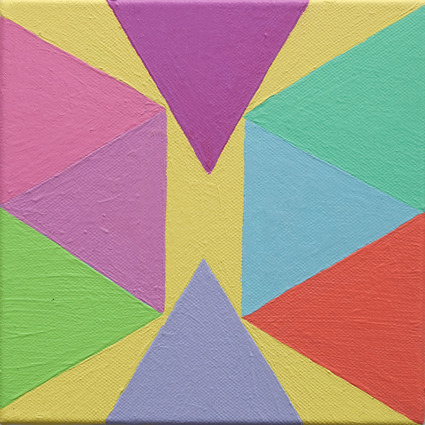 Quattro, group show at Antoinette Godkin Gallery, Auckland, NZ., with Monique Jansen, Kathy Barry and Sarah Munroe. 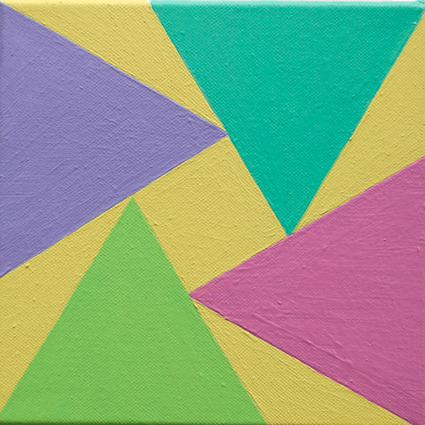 22 February - 22 March 2012. 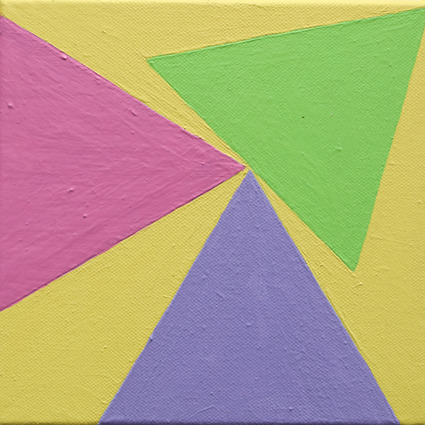 Quattro, 2012. 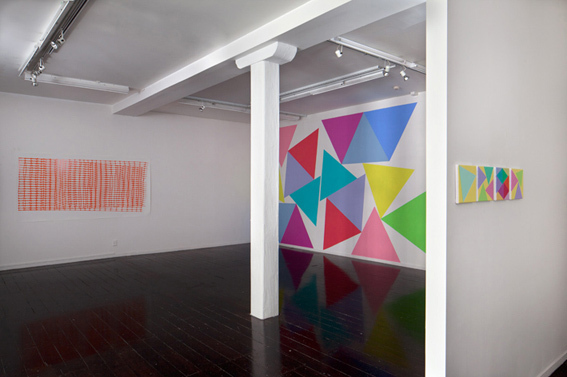 M. Jansen (l), A. Kennedy (r). 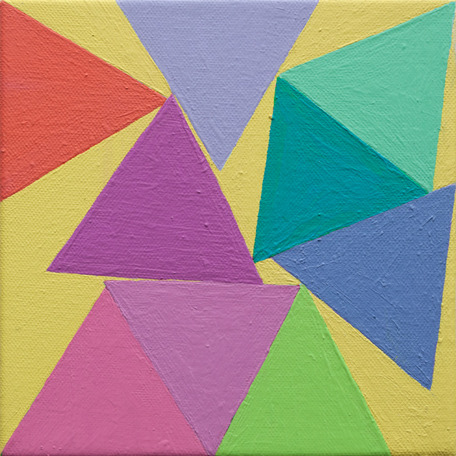 Packing Triangles 1, 2012. oil on canvas, 200 x 200 mm. 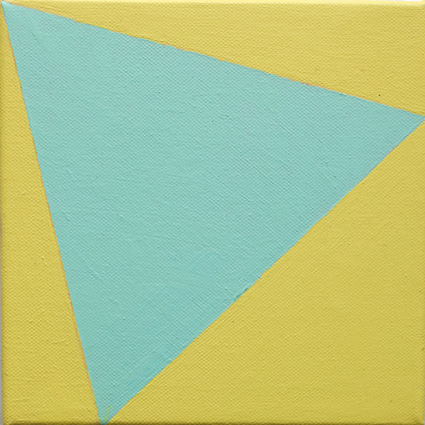 Packing Triangles 3, 2012. oil on canvas, 200 x 200 mm. 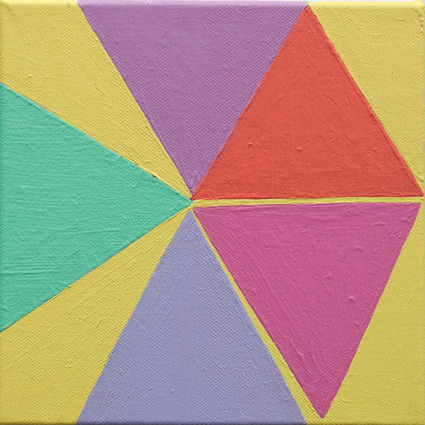 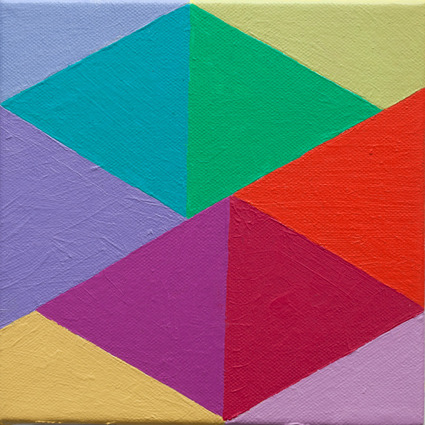 Packing Triangles 5, 2012. oil on canvas, 200 x 200 mm. 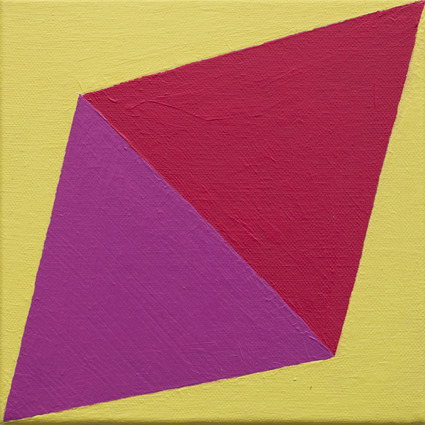 Packing Triangles 6, 2012. oil on canvas, 200 x 200 mm. 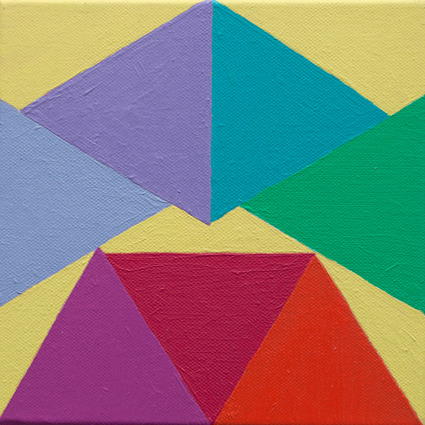 Packing Triangles 7, 2012. oil on canvas, 200 x 200 mm.